Innovations within the world of cannabis growing seem almost limitless. Another addition here is the introduction of CO₂ into the grow space that can help to increase the energy production of your plants, and therefore boost yields at the end of a grow cycle. How important is the role of carbon dioxide, CO₂, for the health of your cannabis crop? Very important. This gas plays an extremely fundamental role in the survival of your plants, and can also dictate how huge a yield will turn out to be. For this reason, some growers introduce extra CO₂ into the grow site as a method to enhance the output of their crop. Here we will explore the potent role of CO₂ when it comes to your plants, and then touch upon different methods of introducing more of it into your grow room, in hope of massive yields! Just like all other plants, cannabis depends on the function of photosynthesis to create energy and therefore survive. 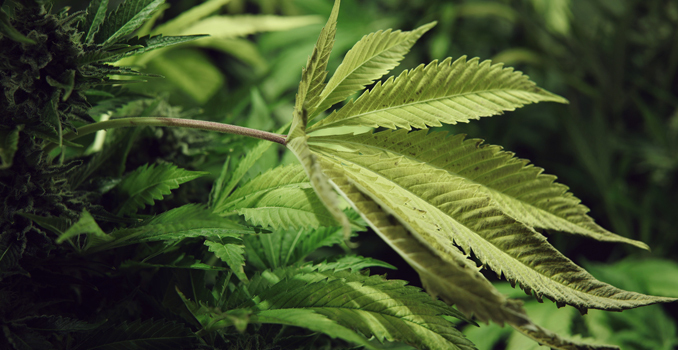 The pigment that makes marijuana leaves green, known as chlorophyll, acts to absorb light, whether directly from the sun or an artificial light source. Plants also breathe in CO₂ through a small opening in leaves called the stoma. This CO₂, in combination with water (H₂O) and light, reacts to form both glucose and oxygen. The glucose produced then acts as an energy source for your cannabis plants. Some of this energy is used in the process of respiration, and other amounts are stored as insoluble starch, which can later be converted back into glucose to assist respiration. So, with the above explanation of how CO₂ impacts photosynthesis, it is clear to see this gas can influence plants within your cannabis grow to create more energy, considering that other requirements such as adequate lighting are also met. The more light that your plants receive, the more CO₂ they will be able to process and utilise. When supplementing CO₂ to your plants, it is important to remember that too much of a good thing does exist. 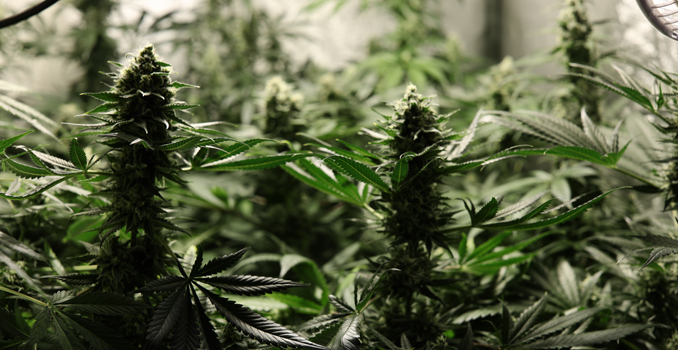 If your plants are exposed to too much of the gas, it can result in damage and reductions in quality yield. Other important factors to recognise include the important balance that exists between all of your plant's needs. When CO₂ levels are elevated, the metabolism of your plants will speed up. Their correct temperature, nutrients and water will need to be adjusted. For example, if your plants were exposed to a CO₂ concentration of 1500ppm (parts per million), they will also require a temperature of between 25-30 degrees Celsius. Both humidity and nutrition will also have to be increased. As well as boosting the metabolism of your crop, CO₂ can act to reduce the time that your cannabis plant takes to grow, meaning quicker and possibly bigger yields, a win-win situation. The addition of CO₂ may also enable plants to become more resistant to stress factors such as air pollution. Just like too much CO₂ can damage your plants, it can also be damaging and even fatal to humans. Always use a CO₂ alarm or detector close to your setup to alert you of any potentially harmful leaks that cause excess levels of CO₂ outside of your grow space. Be smart. There are various ways to start adding CO₂ to your grow space, with different methods working better depending on your situation and set up. These devices burn natural gases to produce CO₂ in specific concentrations. CO₂ generators produce heat and therefore are possibly better suited for larger grow spaces, as using them in a small and confined space is an obvious fire risk. Although these devices are effective in their action, another byproduct is water. Therefore the use of them may increase humidity which may increase the risk of the development of mould and fungus on your cannabis crop. These systems are comprised of cylinders that released CO₂ at specific values. The positive side of this method is that they do not kick out heat or water. The downside for some may be the expense required to set up such a system. Dry ice is more of a simple method and is essentially a solid block of CO₂. When placed into a grow room, they will begin to break down and release CO₂ into the atmosphere. Bags or buckets of compost and be placed into your grow space that will naturally release CO₂ over time, which each bucket lasting about 3 months. However, this system has no on and off switch, as well as no way to adjust the levels. The reaction between these two substances will produce small amounts of CO₂ that may be suitable for small grow spaces. Mixing sugar, yeast and warm water in a container with air holes in an extremely cheap and easy way to introduce CO₂ into a small grow space.